An allergen-free approach to managing chronic illness. One in five of us will be diagnosed with an autoimmune disease at some point in our lives; a condition that occurs when the body's immune system mistakenly attacks its own tissue. Conventional medicine has yet to find a cure, so is there anything you can do to help yourself? 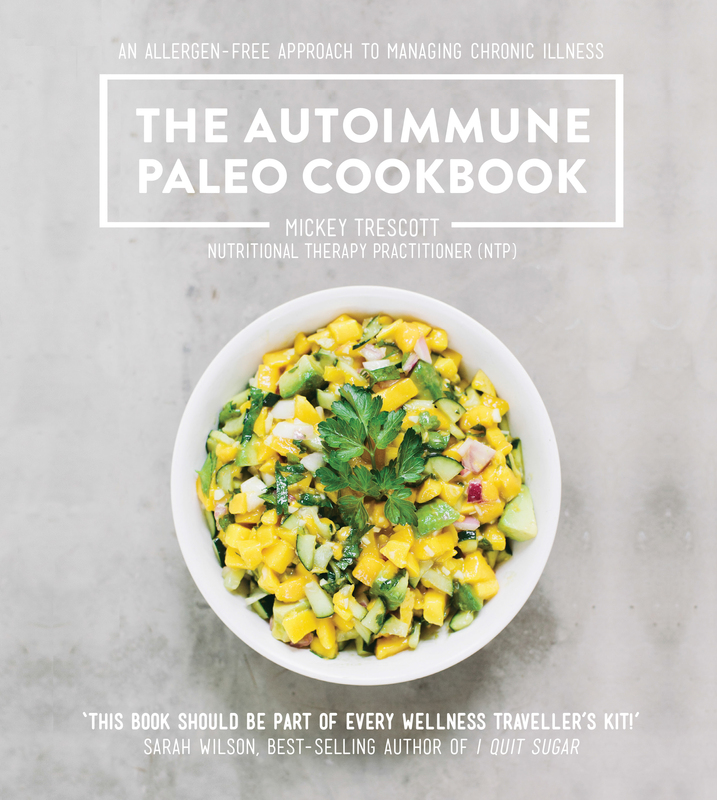 In an effort to alleviate the symptoms of her own autoimmune conditions, author Mickey Trescott began following a version of the paleo diet specifically designed for those struggling with autoimmune diseases. By eliminating certain food groups and embracing others, Mickey finally rediscovered her health and vitality. 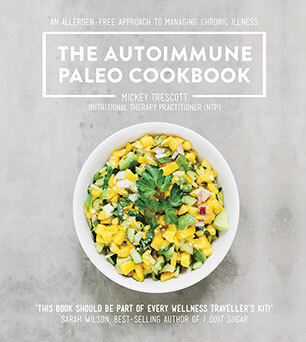 The Autoimmune Paleo Cookbook features 115 of Mickey's most delicious recipes as well as lots of clear information for anyone who wants to explore this version of the paleo diet. Guidelines for the diet are clearly outlined and there are four-week meal plans as well as tips for shopping, batch cooking and preparing ahead. This book is a fantastic first step towards taking control of your health and happiness. Mickey Trescott lives in the Willamette Valley, Oregon, with her crafty husband, their cat, Savannah, and an assortment of horses, ducks, chickens and goats. She practices nutritional therapy and cooks privately for local families in addition to blogging and obsessively knitting socks in her spare time. After recovering from her own struggle with both Coeliac and Hashimoto's disease, adrenal fatigue and multiple vitamin deficiencies, Mickey started to blog about her experiences atautoimmune-paleo.com. She holds a BA from Westmont College and is a certified Nutritional Therapy Practitioner. Her hope is to give others on a similar path a resource to find information--and to help them realise that they are not alone in their struggles. She also aims to provide a supportive environment for those seeking better health in the face of autoimmunity.